for retail applications to be used for indoor and short term outdoor displays. 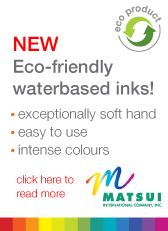 1600 Series UV Pos Ink – (for rigid and pressure sensitive vinyls) A cost effective, energy-saving ink designed for retail applications to be used for indoor and short term outdoor displays. 3900 Series UV Banner Ink – A flexible ink suitable for printing on a wide selection on Vinyls, including banner, cling vinyl, low tack vinyl and other flexible Vinyls. Can be used for Indoor and Outdoor applications and well as window graphics.